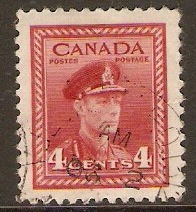 Canada 1942 4c Carmine-lake. SG380. MPO 1312. Fine used 1942 4c Carmine-lake. SG380. VULCAN MPO 1312. 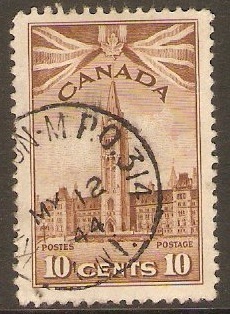 Canada 1942 10c Brown. SG383. MPO 313. Fine used 1942 10c Brown. SG383. PICTON ONTARIO MPO 313. 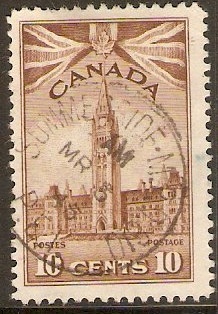 Canada 1942 10c Brown. SG383. MPO 314. Fine used Canada 1942 10c Brown. SG383. KINGSTON ONTARIO MPO 314. 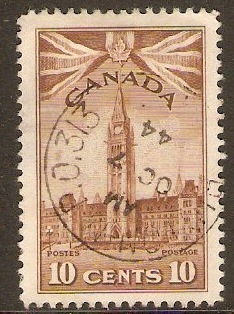 Canada 1942 10c Brown. SG383. MPO 610. Fine used 1942 10c Brown. SG383. SUMMERSIDE (Prince Edward Island) MPO 610. 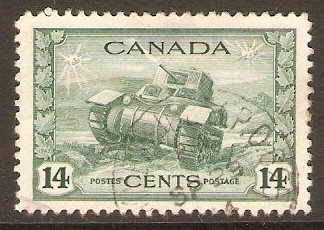 Canada 1942 14c Dull green. SG383. MPO 625. Fine used 1942 14c Dull green. SG383. SUMMERSIDE (Prince Edward Island) MPO 625. 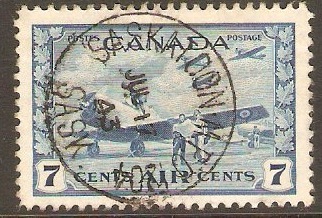 Canada 1942 7c Blue. SG400. MPO 1002. Fine used 1942 7c Blue. SG400. DAUPHIN (Manitoba) MPO 1002. 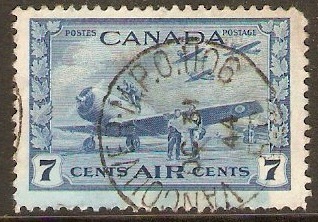 Canada 1942 7c Blue. SG400. MPO 1106. Fine used 1942 7c Blue. SG400. 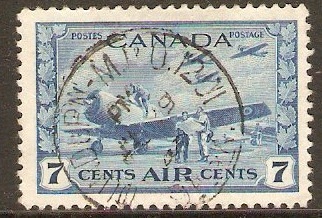 VANCOUVER MPO 1106. 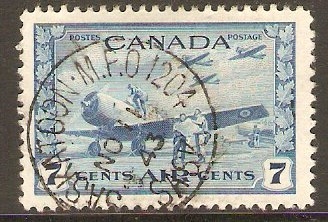 Canada 1942 7c Blue. SG400. MPO 1201. Fine used 1942 7c Blue. SG400. DUNDURN (Saskatchewan) MPO 1201. 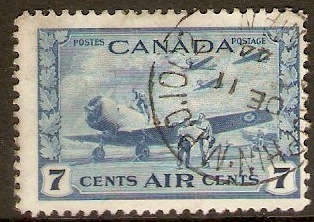 Canada 1942 7c Blue. SG400. MPO 1204. Fine used 1942 7c Blue. SG400. SASKATOON (Saskatchewan) MPO 1204.